These layoffs will not affect the games the studio currently has in development. 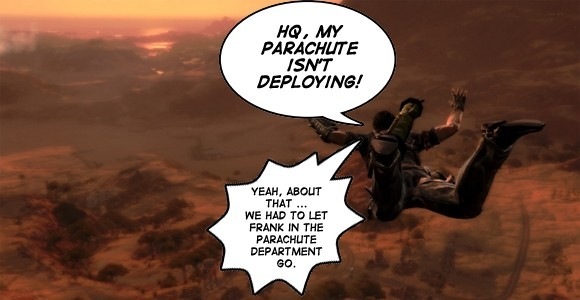 Just Cause 2 is still set to appear at E3 next month, and the company is even looking to reveal a new game it’s been working on with a publishing partner, though any further details on the project could not be revealed at this time. Thank you for your interest in our company. We however regret to inform you that we currently do not have any available positions atâ€¦blah blah blah. Excuse me while I pour out a drink to all the fallen homies of Avalanche Studios. Live long and prosper boys, and we look forward to the game that will spawn from your vengeful minds! Next article Alien vs. Predator Just Looks Awesome! Just Cause 4 Review – Why so Cirrus?